Solar Winds acquires Kiwi Enterprises, best known for its free management and configuration tools (Syslog). SolarWinds announced on 5th of Jan09, it had acquired for an undisclosed sum the assets of New Zealand-based software maker Kiwi Enterprises, best known for its free management and configuration tools. SolarWinds, also known for making freeware versions of its enterprise software available, acquired Kiwi with plans to incorporate the company’s Syslog and CatTools products into its own Orion platform. “We saw a number of similarities in the products and communities of Kiwi Enterprises and SolarWinds, and expect this acquisition to generate immediate benefit, not only to our respective customer bases, but to the IT community at large,” said Michael S. Bennett, chairman and CEO, SolarWinds. “SolarWinds is committed to delivering deep value to network engineers by addressing their everyday pain, simply and affordably.”SolarWinds will add the Kiwi products, specifically Kiwi Syslog Server and Kiwi CatTools, to its popular line-up of tools for network engineers. In addition, SolarWinds also expects to use the other software products that it purchased to expand its free tool offerings. For more details do check the press release from Solar Winds. In the previous five posts I was talking about the Etherchannel , types of protocols used , rules and restrictions applied to an Etherchannel . Now it’s the time to see how an Etherchannel can be configured in a Cisco Catalyst Switch. An Etherchannel in a Cisco IOS can be defined as Layer 2 Etherchannel or a Layer 3 Etherchannel. 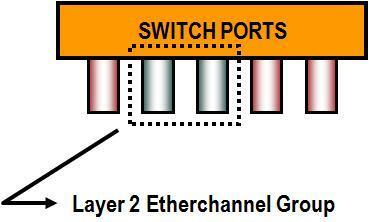 For a Layer 2 Etherchannel, physical ports are placed into an Etherchannel group. 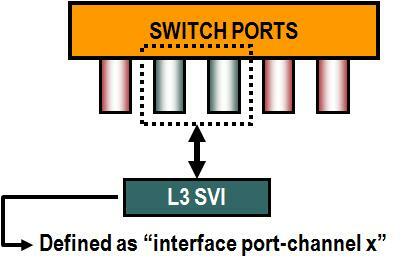 For a Layer 3 Etherchannel, layer 3 SVI (Switch Virtual Interface) is created, and then the physical ports are placed into an Etherchannel group which is bound to the L3 SVI. Now let’s see how to configure a Configure a Layer 2 Etherchannel in a Cisco Catalyst Switch using a PAGP (port aggregation protocol) Protocol. In my previous posts I did discussed about the PAGP protocol, it’s a Cisco proprietary protocol, can be applied only in Cisco Catalyst Switches. From the above diagram we have two Cisco 3560 Catalyst Switches named ITKESW01 and ITKESW02. We will configure a Layer 2 Etherchannel between the Cisco 3560 Catalyst Switches ITKESW01 and ITKESW02. 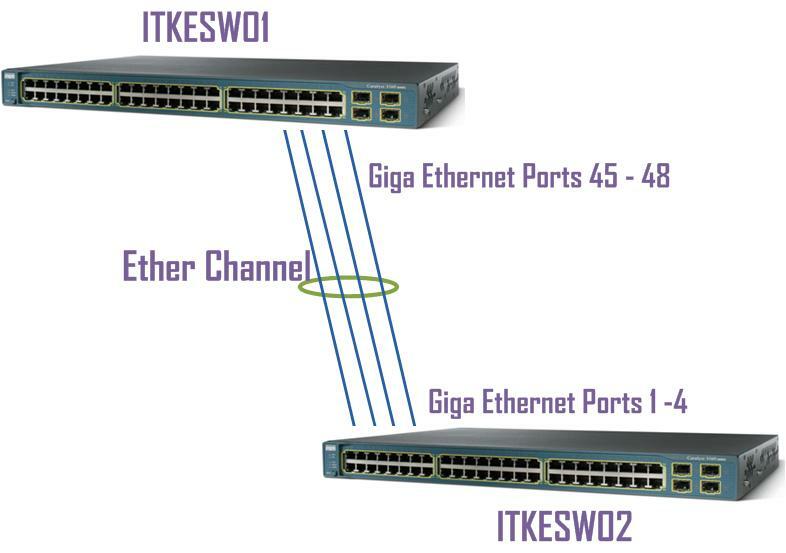 The Giga Ethernet ports 0/45, 0/46/,0/47 & 0/48 on a Cisco 3560 Catalyst Switches ITKESW01 are trunk ports and they are connected to Giga Ethernet ports 0/1,0/2,0/3 and 0/4 (also trunk ports) in Cisco 3560 Catalyst Switch ITKESW02. Note: A logical port-channel interface is automatically created when ports are grouped into a channel group. Hope it’s going to be a good beginning in the year 2009 and lest hope to see the peace and harmony all over the world. Now let’s see what options are available for load balancing in an Etherchannel bundle. 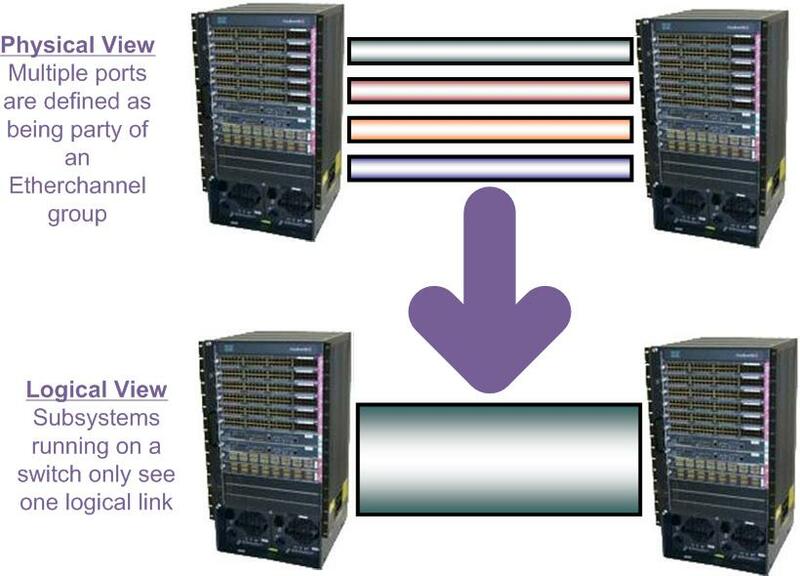 How does the Cisco Catalyst Switch determines which physical link in the Etherchannel bundle to use to forward the data? 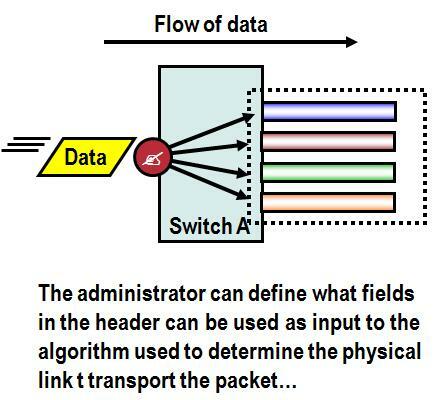 The answer is the Cisco Catalyst Switch uses a polymorphic algorithm taking key fields from the header of the packet to generate a hash to a physical link in the Etherchannel group. Automating and Creating of an Etherchannel. The automate creation of an Etherchannels group can occur only when the Cisco Switches are running same Etherchannel protocols. Using different Etherchannel protocols at each end will not work. One more important criterion for the automated creation of the Etherchannel is the links must share the similar physical characteristics. Configuration of ports into an Etherchannel are based on pre defined Etherchannel modes that are assigned as a default or modified via user configuration to an Ethernet port. There are five Etherchannel modes, which can be used for automated creation of an Etherchannel . Dear Friends what a gift from Cisco Systems to its lovers for the New Year 09. Cisco will unveil new consumer products and initiatives during a news conference at the 2009 International Consumer Electronics Show (CES) in Las Vegas Convention Center on January 7, 2009. Banner Courtesy: Cisco SystemsThe key personalities who are expected to join the stage with the Cisco Chairman and CEO John Chambers are his team of team of senior executives. They are expected to discuss how Cisco is enabling the connected life through a new class of compelling communication and entertainment experiences that are more visual, more social and more personal. The press conference will be webcast live for those unable to attend in person. Stay current with what Cisco is doing at CES 2009. Receive video messages and speaker updates both preshow and onsite. Get a text message as soon as new content is posted.Register from your personal computer by going to www.cisco.com/alerts and clicking the text messing registration and manager link. You can register directly from your cell phone by texting to our number 24726 (spells Cisco on your phone keypad) with the word CES in the body of the message. Dear Friends, hope everyone is having great holidays, have fun. In my previous post I was focusing on some of the limitations of Etherchannel. Now let’s proceed a step ahead and figure out about the Etherchannel negotiation protocols. Etherchannels can be negotiated between two Cisco Catalyst Switches to provide some dynamic link configuration. Basically there are two types of protocols are available, which can be used to bundled the automated creation of an Etherchannel in the Cisco Catalyst Switches. In upcomming post I will try to concentrate on automating the creation of an Etherchannel . Have fun and happy new year 2009. According to the Cisco Annual Security Report 2008, Spam accounts nearly 200 billion messages per day or approximately 90% of all email worldwide. The report highlights the security threats and trends; the most disturbing fact is more online criminals are using real email accounts with legitimate web mail providers to bombard the emails with spam. This method, known as ‘reputation hijacking’, makes spam harder to detect and block. According to Cisco estimates, spam resulting from email reputation hijacking of the top three web mail providers accounted for less than 1% of all spam worldwide, but made up 7.6% of the providers’ mail traffic. Additionally, researchers have seen a 90% growth in threats originating from legitimate domains, doubling 2007 figures. For rest of the story please check the article published by ITP Middle East. 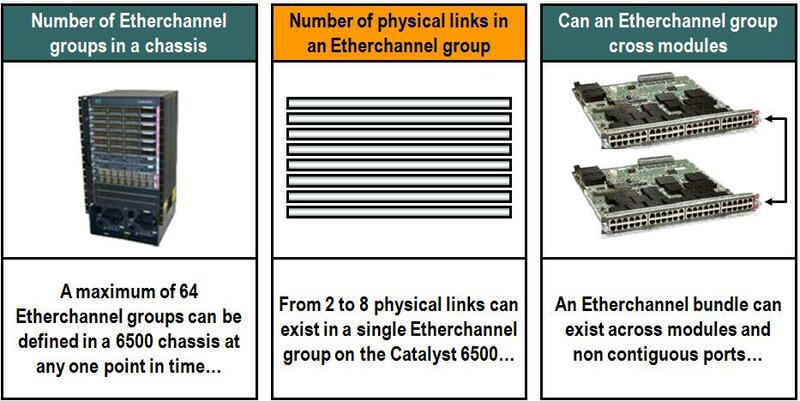 · An Etherchannel Group Number must be in the range of 1 to 256. · All ports in the target Etherchannel group MUST be in the same VLAN. · If one physical link in the Etherchannel group is a TRUNK, then all other ports must be configured as trunks carrying the same VLAN information. · Any defined broadcast limits must be the same across all ports in an Etherchannel. 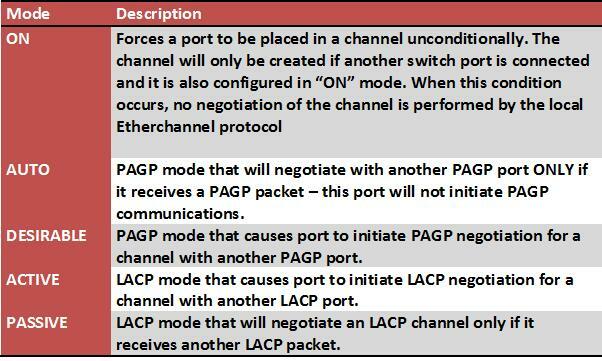 · An LACP Etherchannel group cannot support any physical links in half duplex mode. · No port in the Etherchannel group can be defined as a SPAN port. Dear Friends users of Microsoft’s Internet Explorer are being advised by experts to switch to a rival until a serious security flaw has been fixed. The flaw in Microsoft’s Internet Explorer could allow criminals to take control of people’s computers and steal their passwords, internet experts say. According to CNET news Microsoft issued a critical security warning Tuesday that a malicious exploit is making the rounds and attacking vulnerabilities in Internet Explorer 7. The risk is believed to be widespread, given that IE 7 is the latest version of Microsoft’s browser and is bundled with XP service pack 3 and also Vista, said Dave Marcus, director of security research and communications for McAfee’s Avert Labs. The AZN Trojan, which has been making the rounds since the first week of December, has the potential of infecting users’ system with a Trojan horse, or “downloaders” that can download other forms of malware onto a user’s system. Please acces the complete article at CNET website. Dear Friends in this upcoming series of posts I would like to concentrate on Etherchannel , what is Etherchannel? , what rules and restrictions are applied to an Etherchannel and finally I will show you how to configure an Etherchannel in Cisco Switches both layer 2 as well as layer 3. An Etherchannel combines multiple physical links into a single logical link that provides aggregate bandwidth of 800 MBPS (fast Etherchannel, full duplex) , 8 GBPS (Giga Etherchannel) or 80 Gbps (10 Giga Ethernet) . Ideal for load sharing or link redundancy – can be used by both layer 2 and Layer 3 subsystems and Etherchannel can provide network managers with a reliable, high-speed solution for the campus network backbone. EtherChannel technology was invented by Kalpana in the early 1990s. They were later acquired by Cisco Systems in 1994. In 2000 the IEEE passed 802.3ad which is an open standard version of EtherChannel. I would like to explain some key points about Etherchannel using graphical diagrams so that it’s easy understand and to remember. Etherchannel can be configured defined on Ethernet, Fast Ethernet, Giga Ethernet or 10 Giga Ethernet ports.